Contracts worth US$56.2 million were signed with Sri Lanka-based Haycarb PLC. 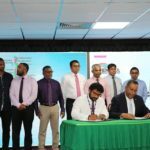 With less than two months for the presidential election, the state utility Fenaka Corporation awarded Tuesday projects to establish sewerage services on 20 islands. 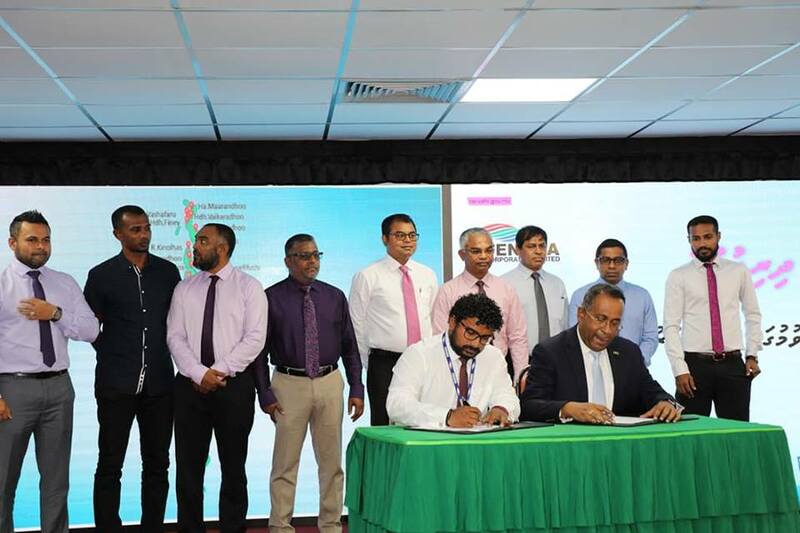 Contracts worth MVR866 million (US$56.2 million) for the installation of sewage wastewater removal networks were signed with Haycarb PLC, a Sri Lanka-based company that specialises in coconut shell-activated carbon production. 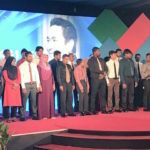 Haycarb will complete the projects within one and a half years, according to Fenaka. 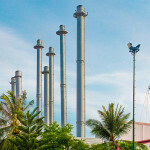 According to the national water and sewerage policy, only 48 percent of the population had access to adequate sewerage networks with house connections by the end of 2016, up from 37 percent when the current administration took office in 2013. The Maldivian population is dispersed over 186 islands across the archipelago. 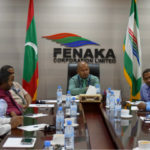 Fenaka Corporation, the government-owned utility, operates powerhouses in more than 150 islands. It was set up in 2012 with a mandate to provide island communities with electricity, water, sewerage and waste management services. Speaking at the ceremony, Fenaka acting manager Mohamed Lam’aan hailed the contracts as a historic milestone and applauded President Abdulla Yameen for working to fulfil his pledges. The government’s target is providing access to sewerage facilities to 75 percent of the population by 2019. 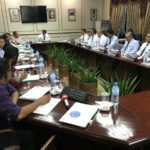 In his remarks, Environment Minister Thoriq Ibrahim said sewage networks have been set up in 22 islands and work is ongoing on 83 islands, including the 20 islands where Haycarb is due to begin the projects. 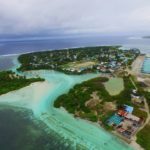 “In these 83 islands, MVR2.1 billion [US$136 million] will be spent,” he said, dismissing criticism that the projects were being launched to gain support ahead of the September 23 election. The government’s track record on delivering island infrastructure is a central pitch of Yameen’s re-election campaign. The opposition, however, contends that the cost of flagship projects are wildly inflated, alleging graft, misuse of funds and lack of transparency. The contractor Haycarb produces activated carbon used in medical and food production industries. The product can also be used in sewage treatment, but it is unclear whether the 20 projects include sewage treatment plants. The islands chosen for the sewage networks are Haa Alif Maarandhoo, Haa Alif Vashafaru, Haa Dhaal Finey, Haa Dhaal Vaikaradhoo, Shaviyani Foakaidhoo, Noonu Maafaru, Noonu Lhohi, Raa Kinolhas, Baa Kamadhoo, Baa Maalhos, Baa Goidhoo, Lhaviyani Olhuvelifushi, Kaa Gulhi, Alif Alif Feridhoo, Vaavu Keyodhoo, Alif Dhaal Dhigurah, Thaa Hirilandhoo, Gaa Alif Dhevvadhoo and Gaa Dhaal Hoadehdhoo. One more island will reportedly be chosen at a later date.